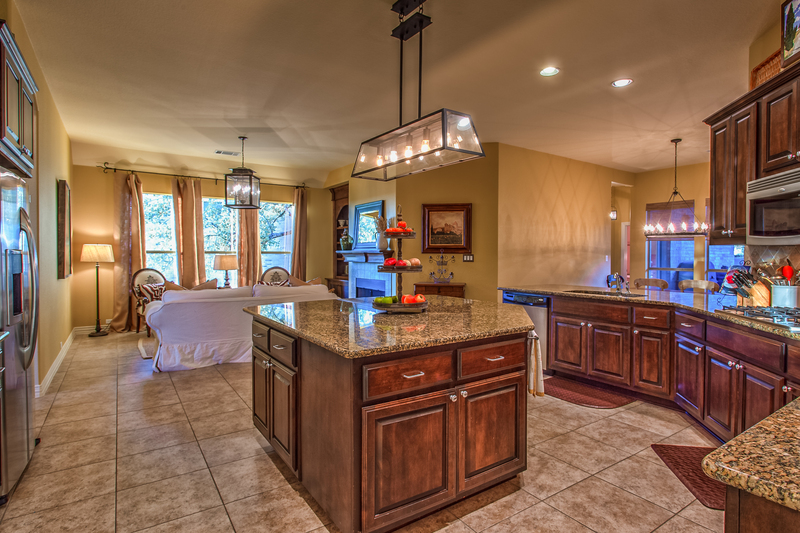 We just listed an impressive home for sale at 13320 Coleto Creek Trl. 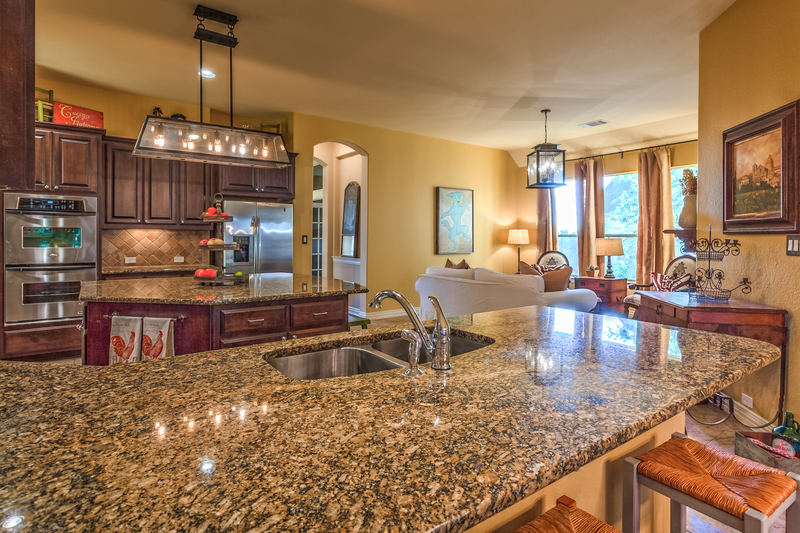 Located in River Heights Overlook, a gated community in Steiner Ranch, this 4,440 square foot home (appraiser) has five bedrooms and four full baths. 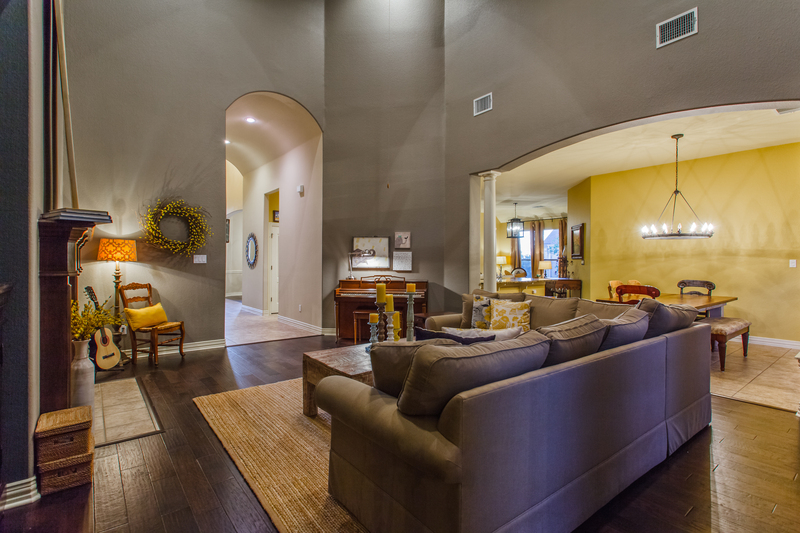 This floor plan from Drees Homes offers spaciousness and flexibility to suit your needs, as four of the bedrooms are downstairs, one is upstairs, and there are multiple living and entertaining areas throughout. 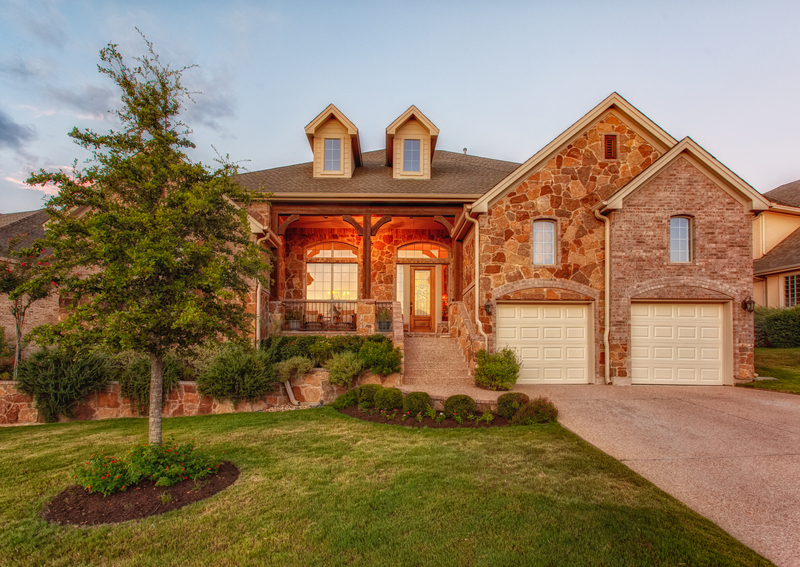 As you pull up to 13320 Coleto Creek Trl through the gated section of River Heights Overlook, you’ll be drawn to the curb appeal of the home. 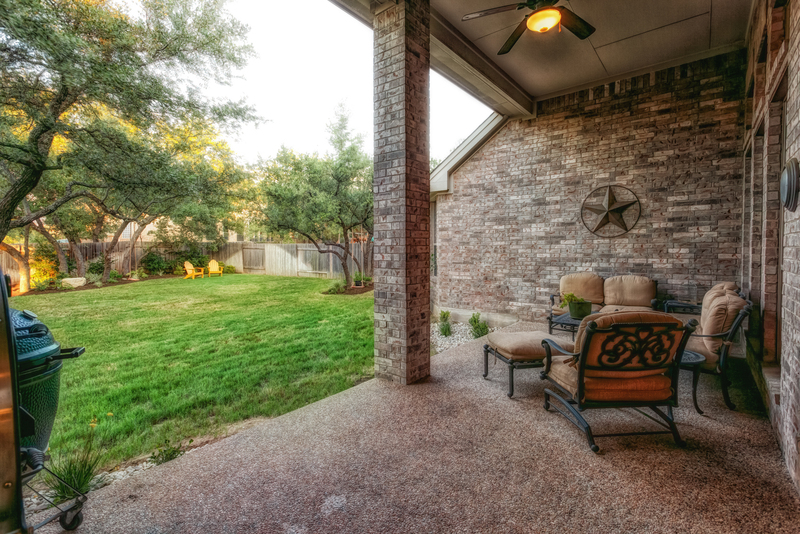 Cascading tiers of lush landscaping lead you to the welcoming front porch area and a decorative glass front door. 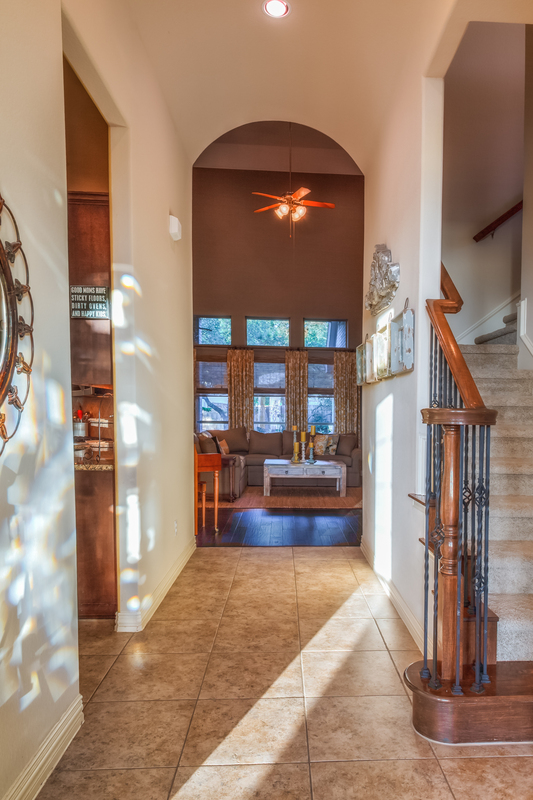 Look up as you enter the home so you can appreciate the grand light fixture in the foyer. 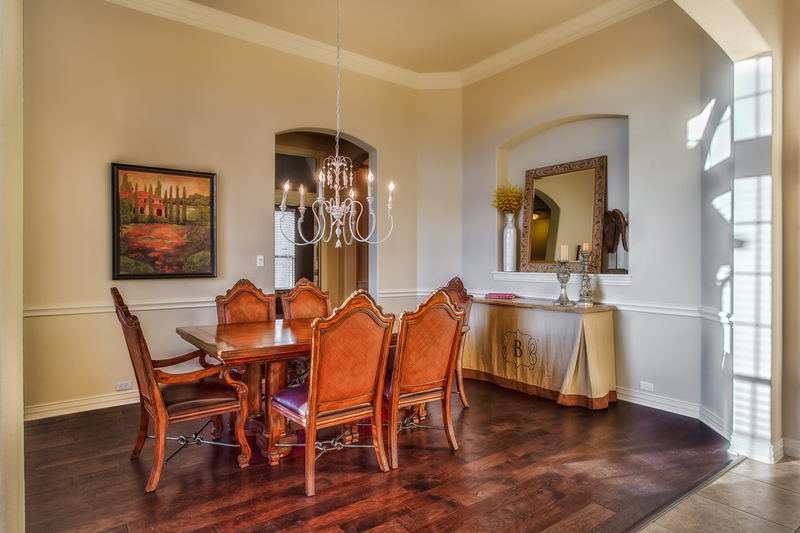 To the right of the foyer is the formal dining large enough to host the heartiest of dinner parties. 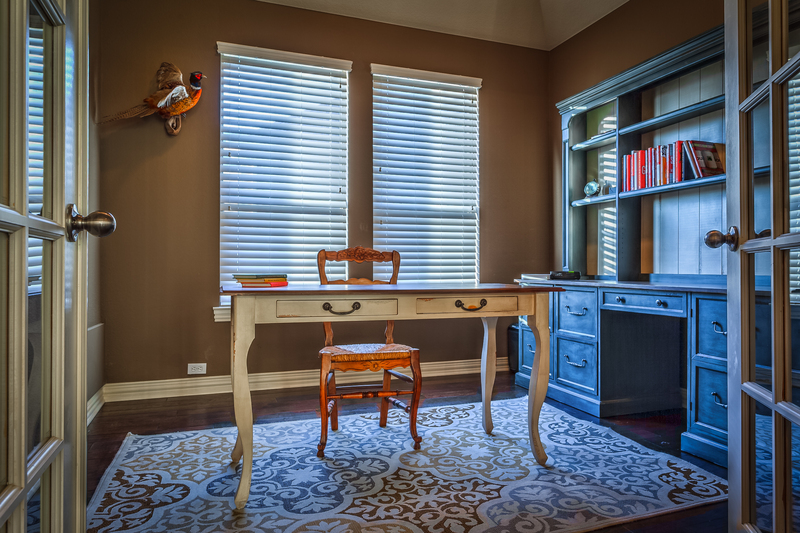 Wood flooring takes you from the dining room into the study and you will see it carried through to the living room later. One bedroom en suite is located to the front of the home by the study and you’ll find the other two secondary bedrooms that are located on the first floor on the other side of the kitchen and living with their own bathroom to share. 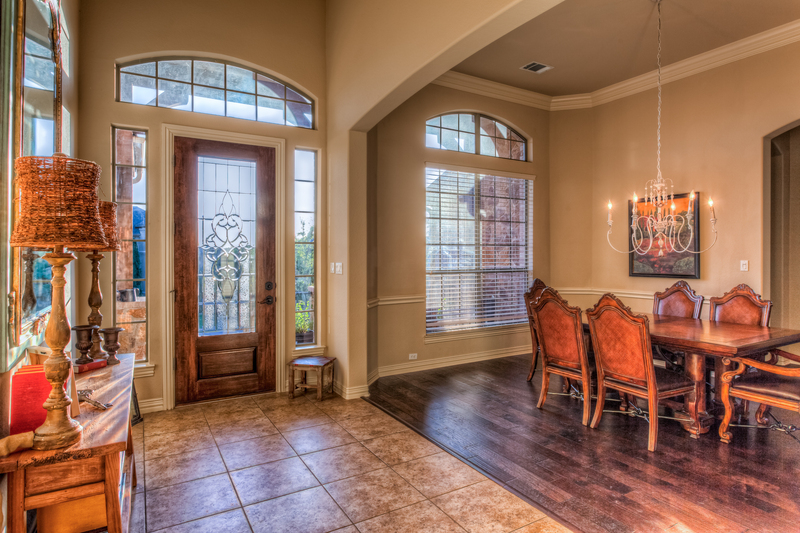 You will really feel at home when you come to the hearth room that sits adjacent to the grand kitchen. 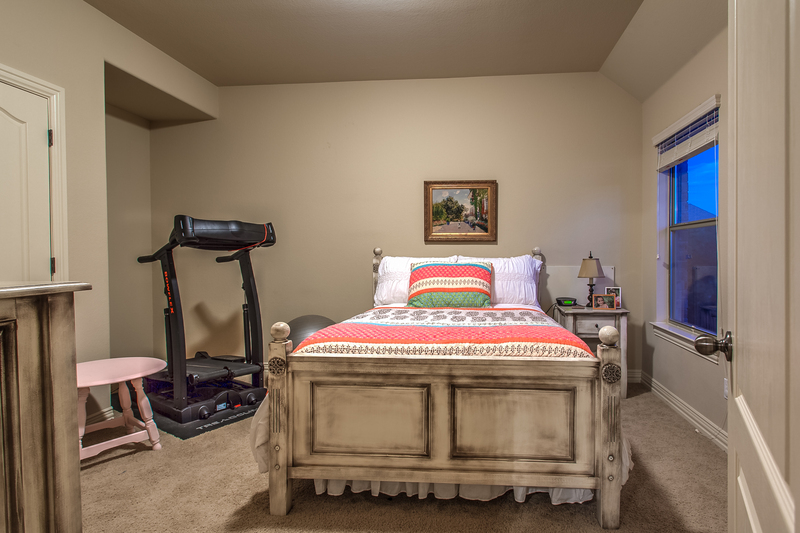 I don’t want to describe this room as cozy, because in real estate that word tends to be the dressed-up word for small, and this room is anything but small! 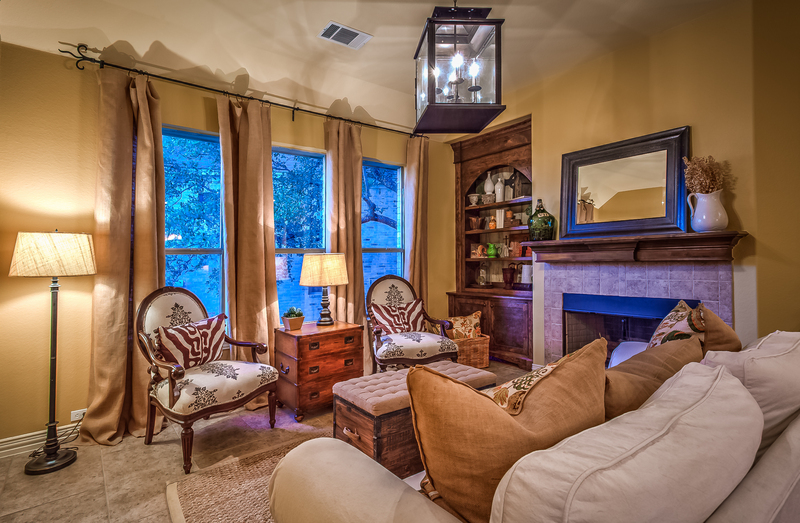 But, it really gives you that warm and cozy feeling when you see the room – perhaps it is the fireplace or the way you want to curl up with a hot cup of tea and a good book when you see this room! 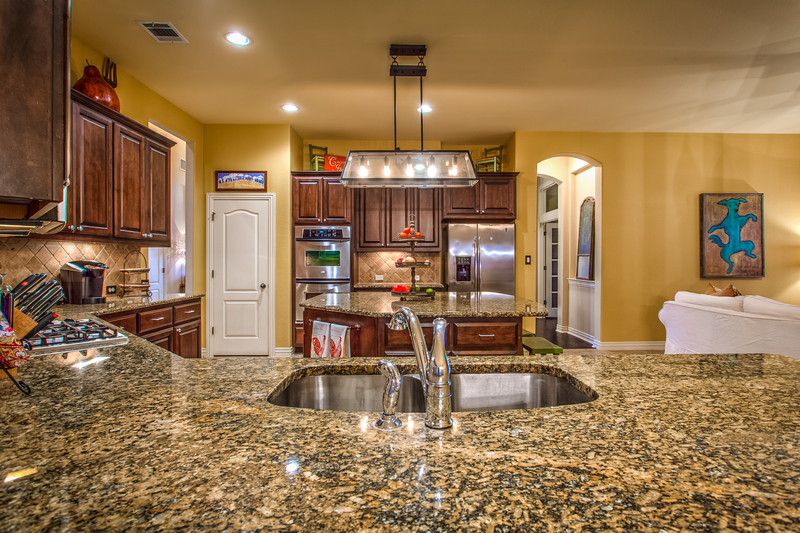 One of my favorite parts of the home is the show-stopping island in the kitchen. 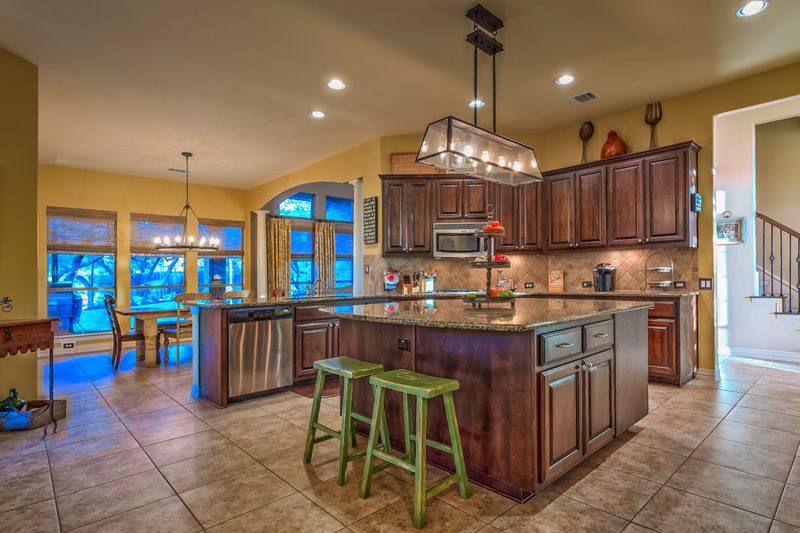 You and your family & friends will love gathering around the over-sized island and it is easily the hub of the kitchen. 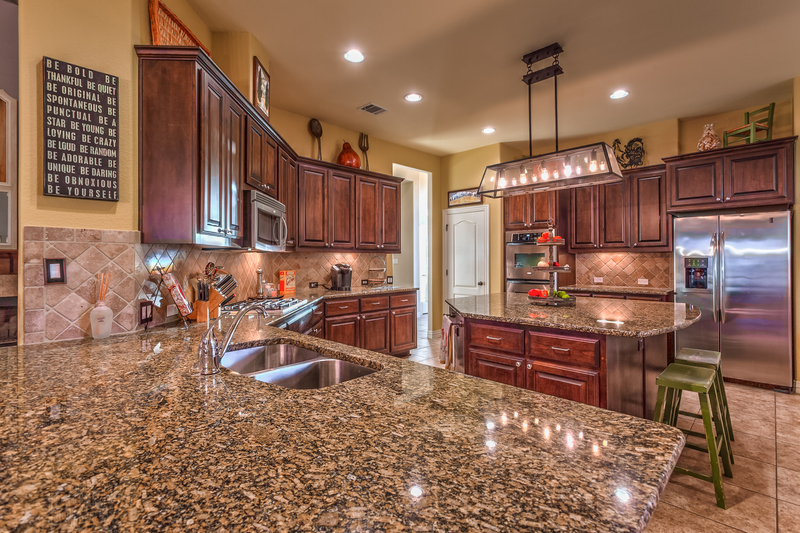 You also have generous amounts of counter space and cabinetry in the kitchen. 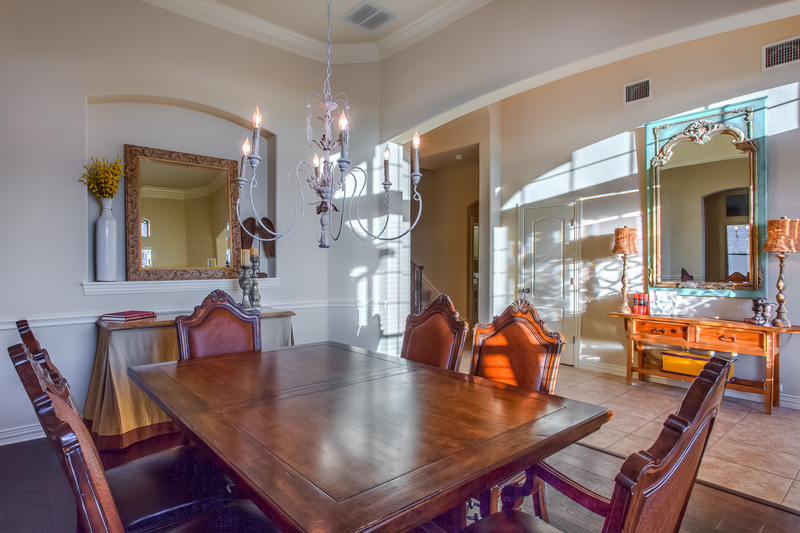 A beautiful light fixture hangs above the dining room that sits across from the kitchen on your way to the living room. 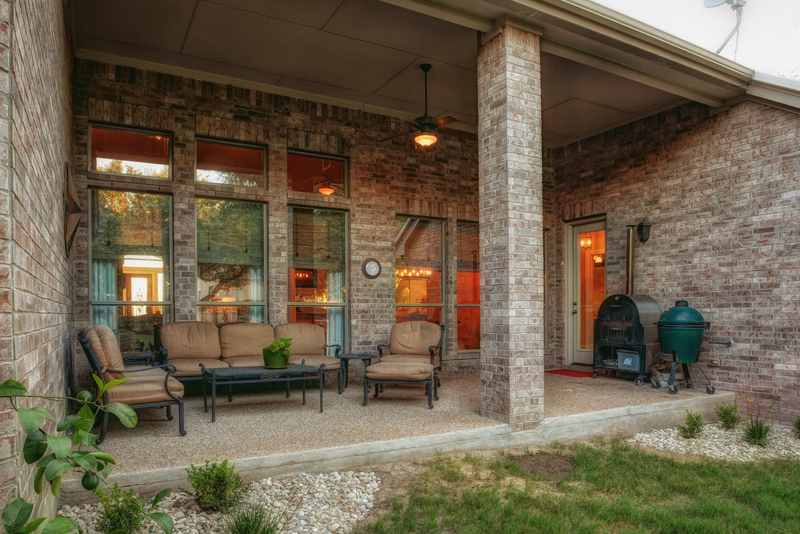 From the kitchen and living room, you look out onto the covered patio and backyard which features large shade trees and lush landscaping. 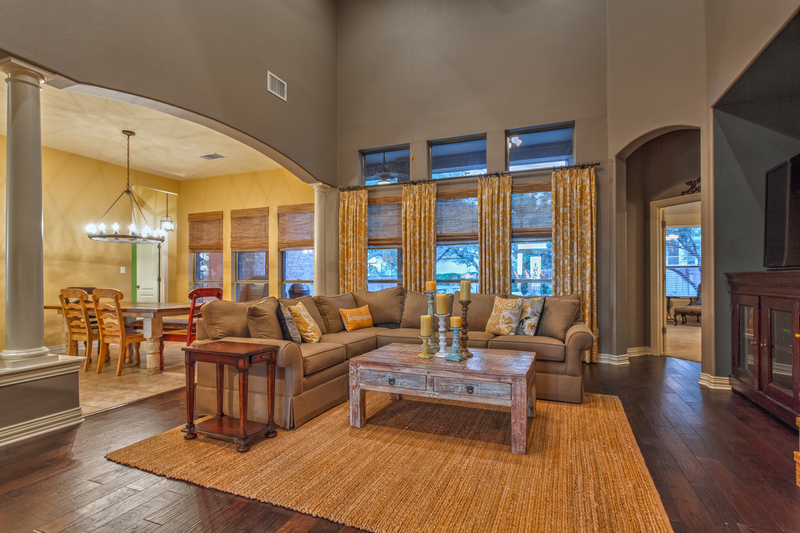 The ceiling reaches atop the second story in the living room, giving it an extra spacious feel. 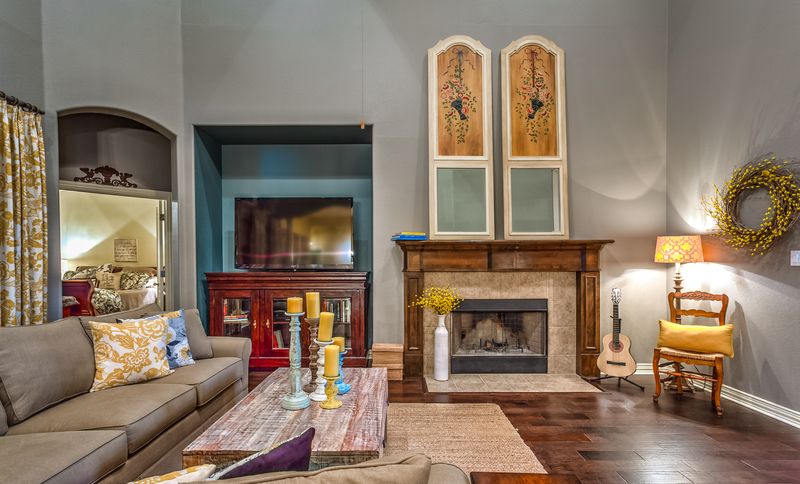 A second fireplace and niche for your entertainment system are also in the living room. 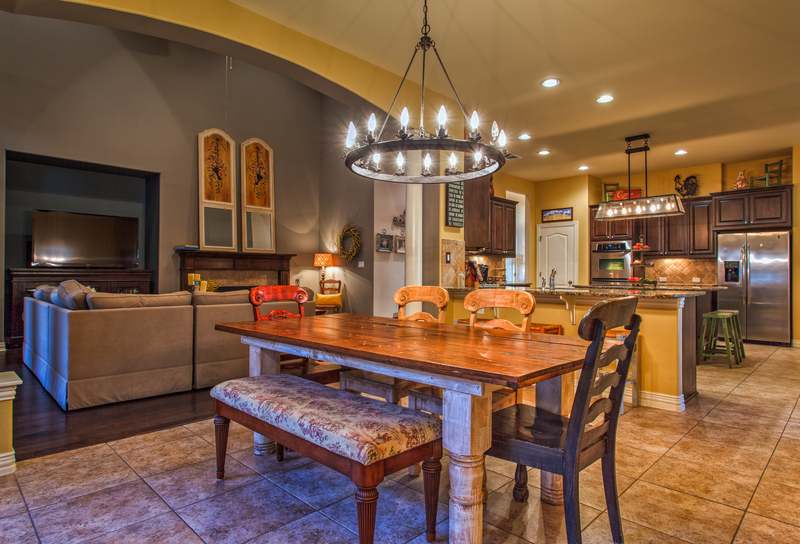 The owner’s retreat is a special one at 13320 Coleto Creek Trl. 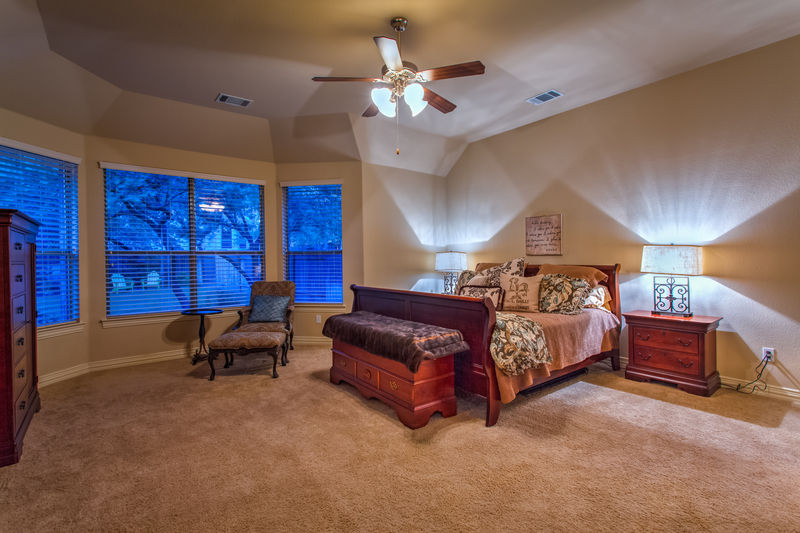 Your bedroom furniture needs will fit undoubtedly in this expansive space. 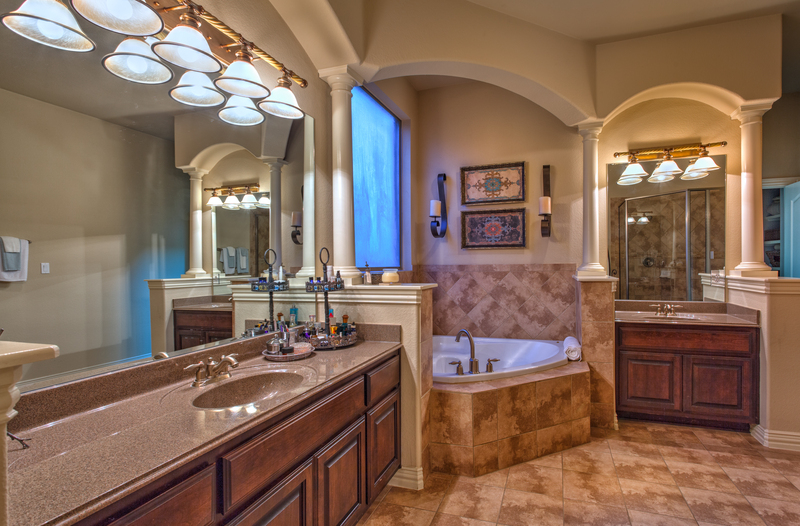 The luxurious spa features a king-sized walk-in shower, garden tub and double vanities. 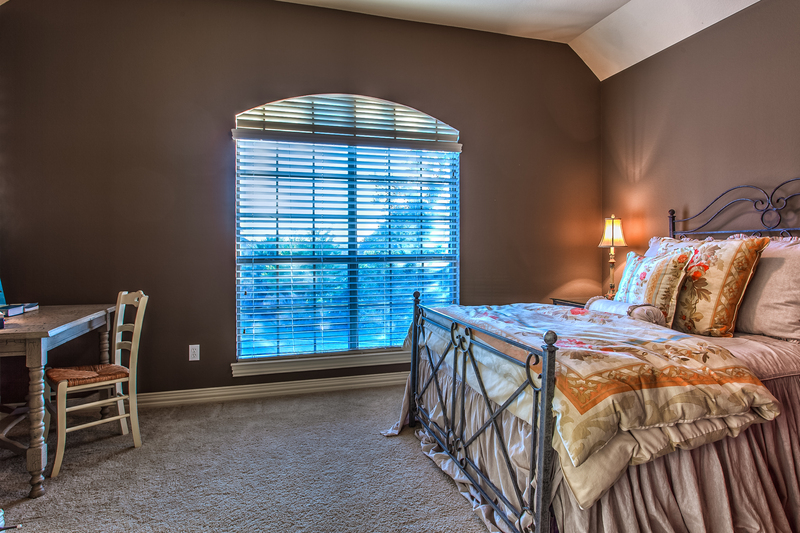 Filling this walk-in closet will be fun for any fashionista! 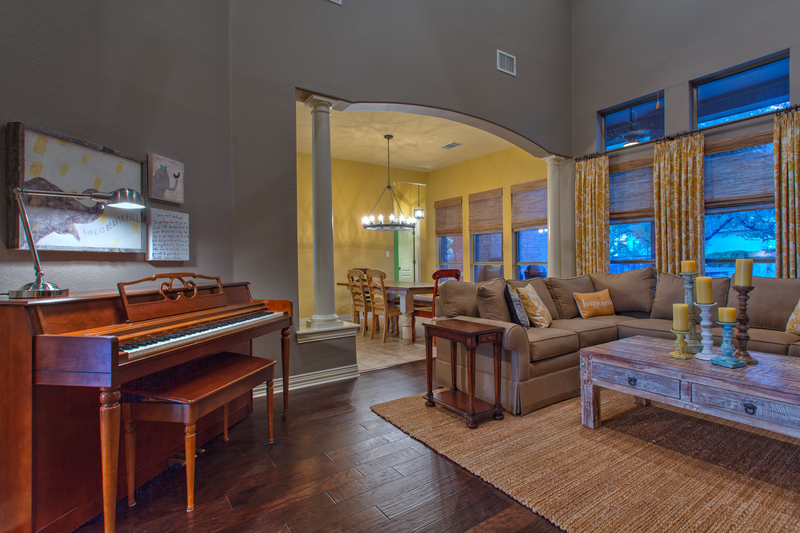 Heading upstairs, you enter a spacious game room that could easily double as a second living room. 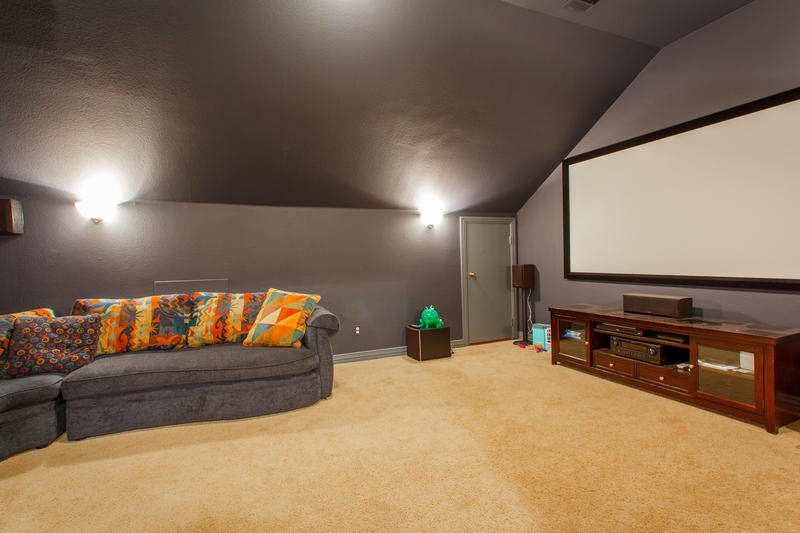 Through the double-doors to the right lies a media room complete with a projector screen, a projector and a wrap-around sectional sofa. 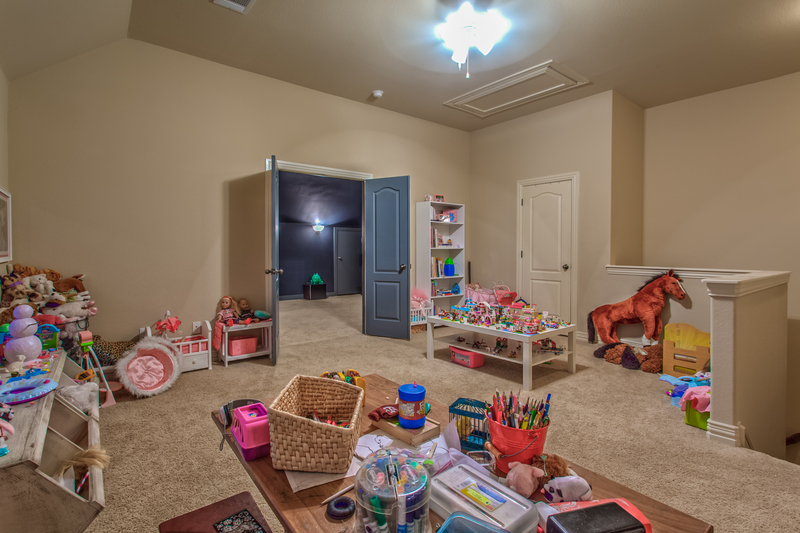 Leave the media room and head beyond the upstairs gameroom in the other direction and you will find the fifth bedroom with it’s own private full bathroom! 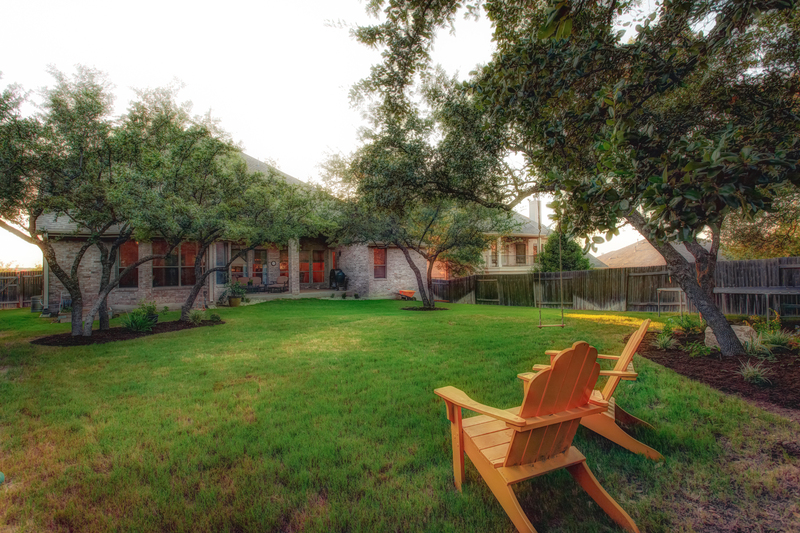 The backyard is lovely, complete with a sizable covered patio with a tall ceiling and several shade trees. 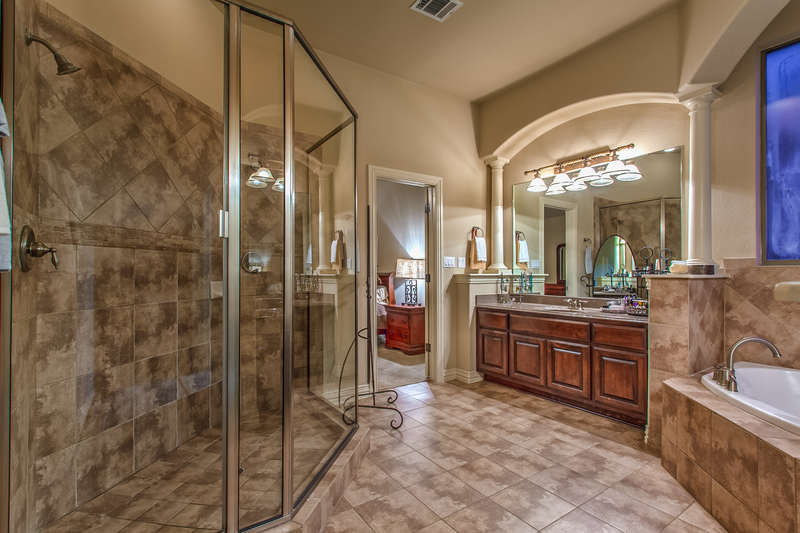 The yard has ample space for a pool too, and the owners have a pool design that is available upon request. 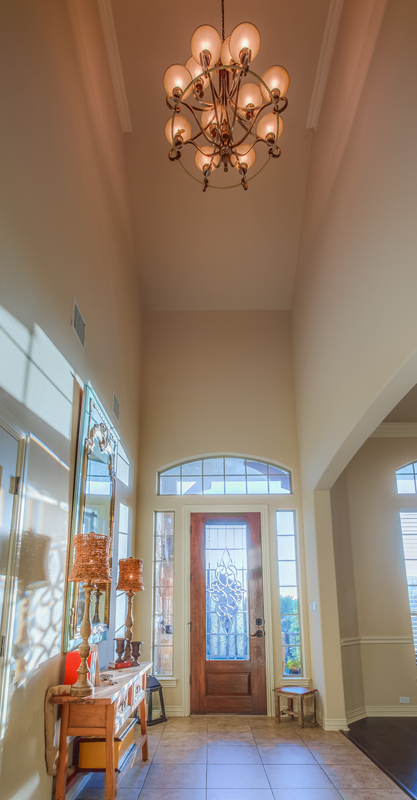 The three-car tandem garage has tons of storage space for you and an extra tall ceiling for any additional storage needs you may have. 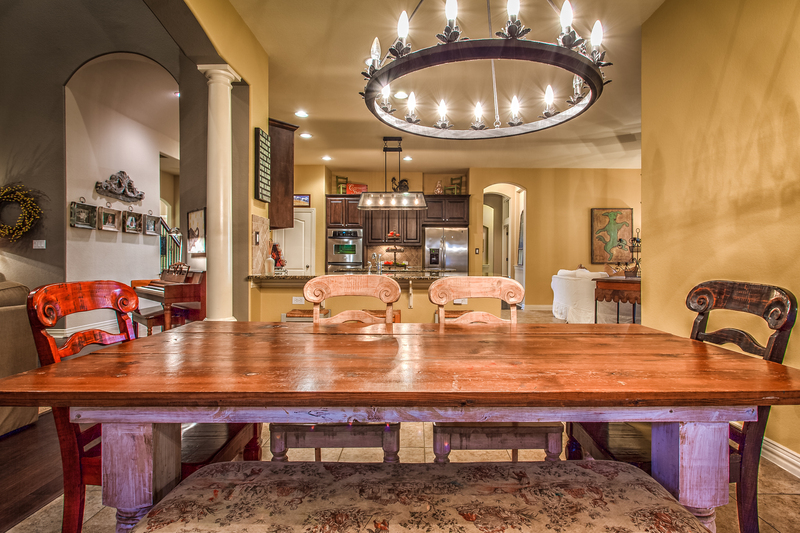 13320 Coleto Creek Trl is a substantial estate-sized home built for a discerning buyer. 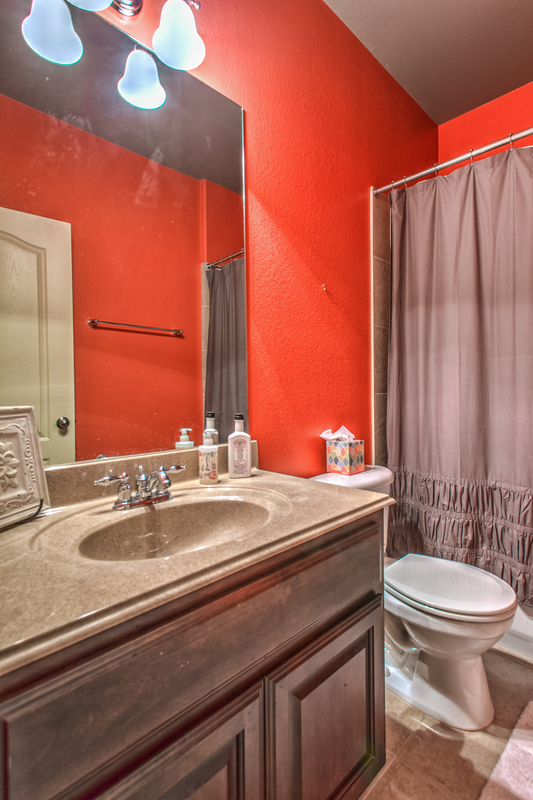 It is a well thought out floor plan and the owners have upgraded this home using care and consideration with their selections. 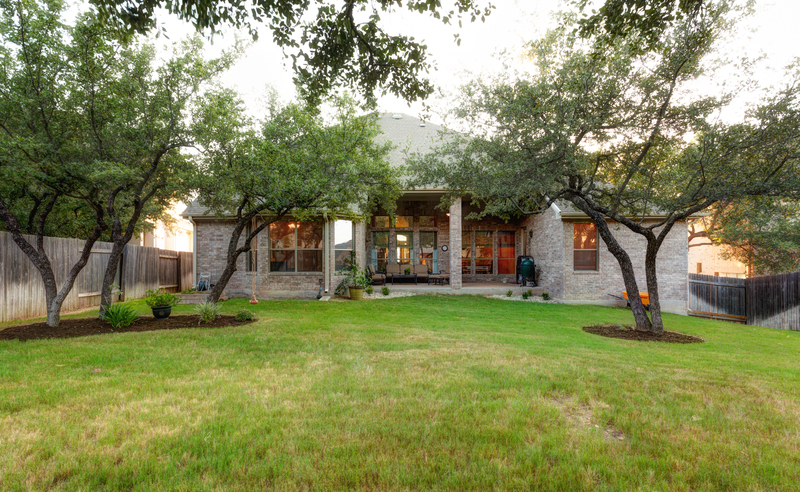 If you are looking for Steiner Ranch homes for sale in a gated section of the community, and more specifically the area zoned to Laura Welch Bush Elementary, then you are going to want to schedule your appointment today to view this home! 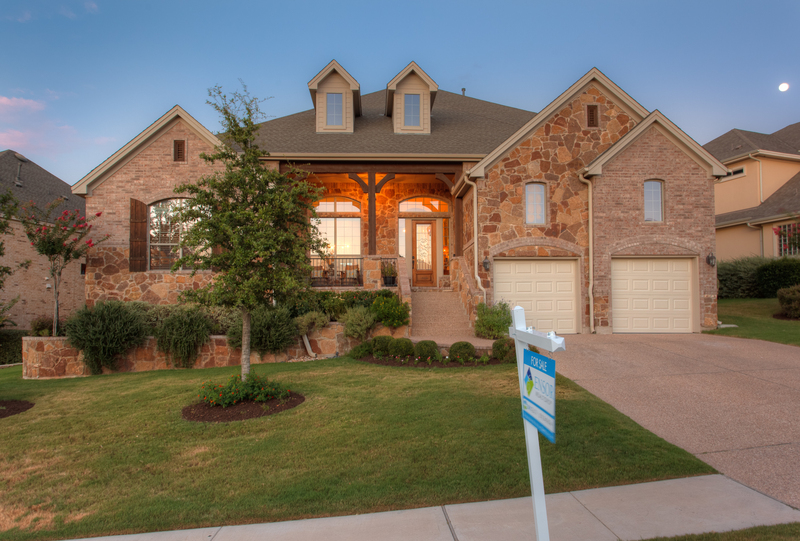 2121 Ariella Dr, Cedar Park TX 78613 – Just SOLD in Gann Ranch!